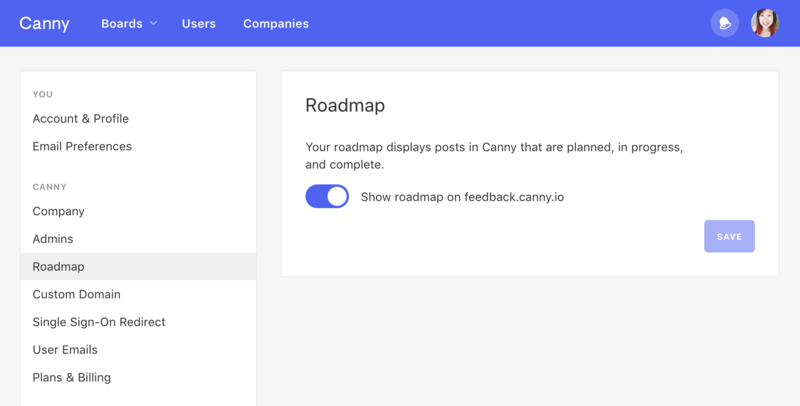 Our team is not planning on using the roadmap feature and we don't want our users seeing an empty map. It would be nice to be able to disable it or hide it from them. You can now go to settings → roadmap to turn your roadmap view off. Starting work on this! It'll be a simple toggle in your settings to turn the public roadmap view off.